The 70th anniversary of the death of Ernie Pyle, the WWII war correspondent, will be recognized on April 18th in places as different as the Ernie Pyle World War II Museum in Dana, Indiana and the National Cemetery of the Pacific in Okinawa, Japan. 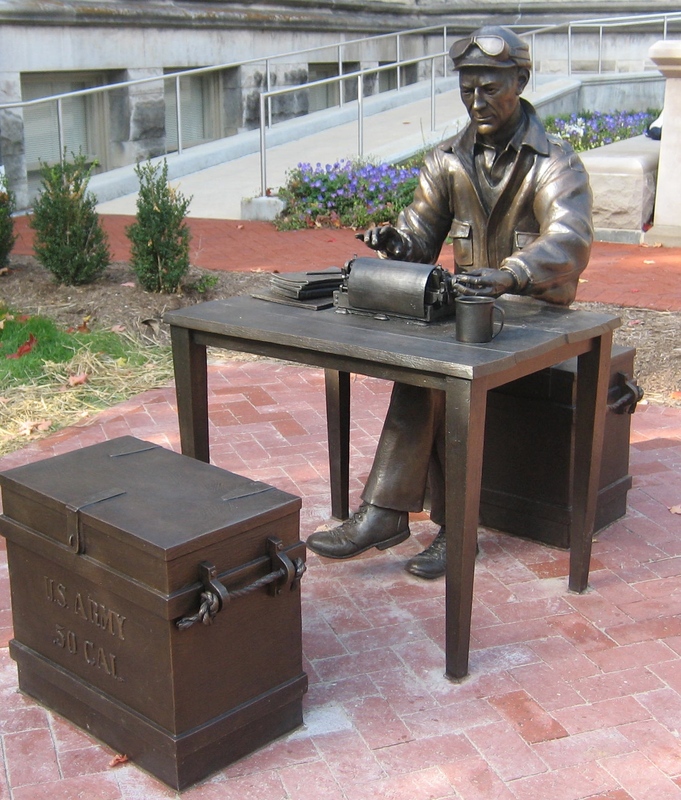 Tuck’s sculpture of Ernie Pyle was unveiled at Indiana University in Bloomington last October. 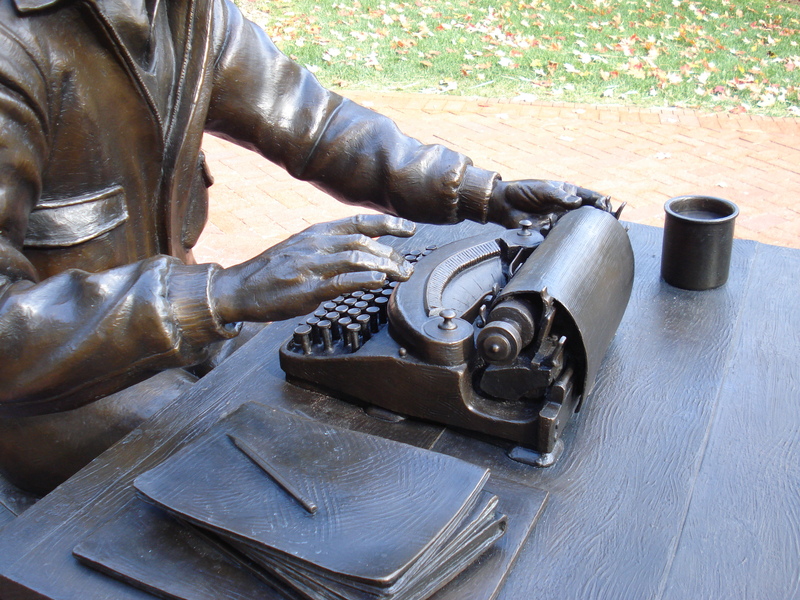 It depicts Ernie sitting on an ammunition box and typing on his Underwood typewriter. Across from him is another ammunition box to allow visitors to sit at the table with Ernie and type on their iPads. The sculpture is in front of the Media School, just inside the Sample Gates. This entry was posted in Uncategorized and tagged Ernie Pyle, Indiana University, portrait sculpture. Bookmark the permalink.